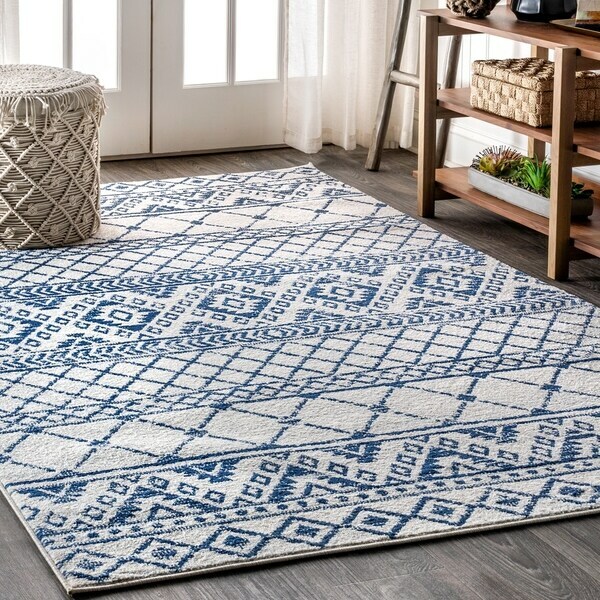 JONATHAN Y Moroccan HYPE Boho Vintage Tribal Cream/Blue 5 ft. x 8 ft. Area Rug - 5'3" x 7'7"
Inspired by timeless Moroccan designs but re-worked for the demands of today, this rug is both beautiful and durable. Perfect for homes with pets, children, or lots of visitors, the polypropylene is a workhorse underfoot, while looking effortlessly chic. Power loomed for consistency, this design is an instant classic and suited to traditional or contemporary decor. Dimensions 120.0 In. X 93.0 In. X 0.31 In.